The Arrow season 4 was one of the most emotionally charged and heart-breaking in the history of the show. There have been many deaths on the show – Tommy Merlyn (friend of Oliver & Laurel’s lover), Moira Queen (Oliver’s mother), Robert Queen (Oliver’s Father), Thea Queen (who was killed by Ra’s Al Gul and then brought back through Lazarus pit), Sara Lance (who was killed by Thea under the influence, later was brought back by the pit and her soul was restored by John Constantine). But Laurel Lance a.k.a Black Canary died a painful death and ain’t coming back. In the episode 19th of Season 4 titled “Canary Cry”, the show-makers introduced a new character called Evelyn Sharp (it’s Evelyn Crawford in DC Comics) who donned the mantle of Black Canary in order to take revenge from Damien Darhk and Ruve Darhk for the murder of her family. In season 5, she would instead forge her own identity as a masked archer known as Artemis. She is a darker version of Black Canary, closer to comics rather than Laurel who was a lawyer first and vigilante later. Greg Berlanti (executive producer) said in May “What it really emulates to us is the comic books themselves, where there really are a cast of characters. 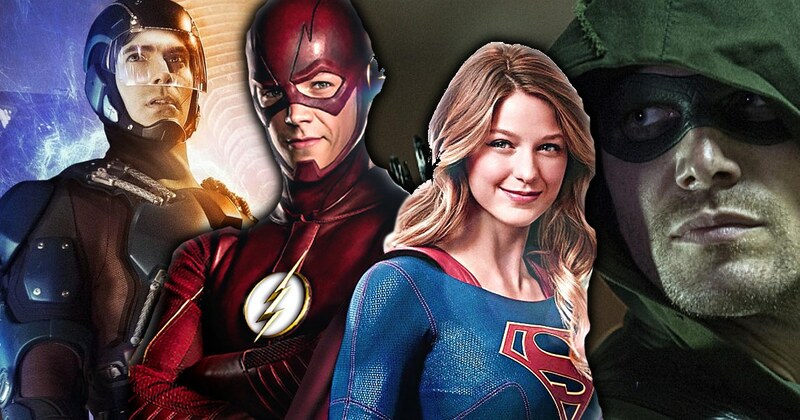 In success, we hope to continue with other characters finding their way across all the shows.” In June, John Barrowman (Malcolm Merlyn) and Wentworth Miller (Captain Cold) were offered a contract wherein they will be given a series regular status across all the CW/DC superhero shows like Flash, Legends of Tomorrow etc. Katie Cassidy is the latest actor to join the CW/DC bandwagon who will appear across the spectrum of shows. In fact, shortly after Laurel Lance died on Earth-1, her Earth-2 doppelganger Black Siren appeared on the Flash.